Researchers at the Institute of Molecular Biology (IMB) and Johannes Gutenberg University Mainz (JGU) have further uncovered the secrets of telomeres, the caps that protect the ends of our chromosomes. They discovered that an RNA molecule called TERRA helps to ensure that very short (or broken) telomeres get fixed again. The work, which was published in the June 29,2017 issue of Cell, provides new insights into cellular processes that regulate cell senescence and survival in aging and cancer. The Cell article is titled “Telomere Length Determines TERRA and R-1 Loop Regulation Through the Cell Cycle.” Telomeres protect the ends of our chromosomes, much like the plastic cap at the end of a shoelace that prevents the lace from unravelling. Over a cell's lifetime, telomeres get gradually shorter with each cell division and therefore the protective cap becomes less and less effective. If the telomeres get too short, it is a signal for the cell that its genetic material is compromised and the cell stops dividing. 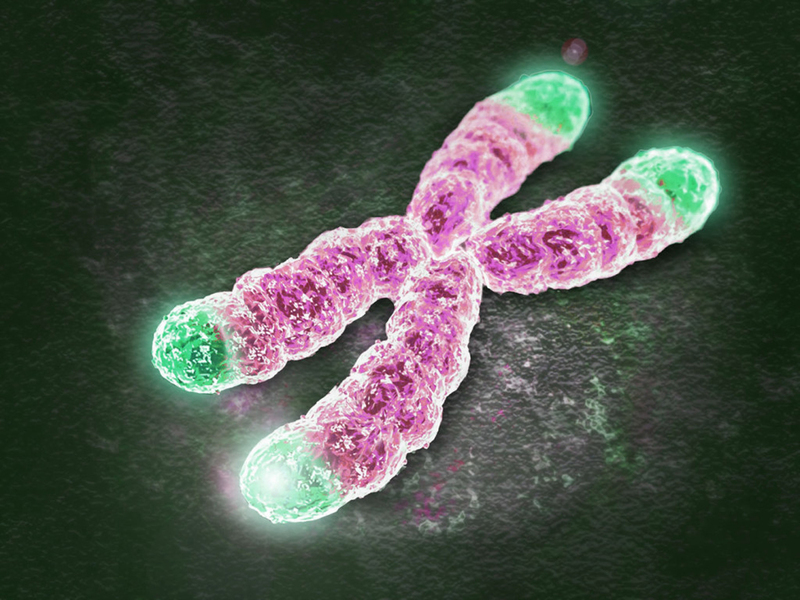 Telomere shortening and reduced cell division are considered a hallmark of aging and likely contribute to the aging process. However, telomere shortening is also a defense mechanism against cancer because highly proliferative cells can only divide when their telomeres do not shorten. Therefore, telomere shortening is a double-edged sword and has to be carefully regulated to strike a balance between aging and cancer prevention. When a telomere accidentally gets cut short early in a cell's lifetime, it needs to be fixed so that the cell doesn't become senescent too early. "In the life of a cell, you have to find some sort of balance between cancer prevention and aging. BioQuick Online News (TM) (http://www.bioquicknews.com) has recently been awarded an APEX 2017 Award for Publishing Excellence in the category of Electronic Media: Electronic Publications. BioQuick has won seven previous APEX Publishing Excellence Awards in the years 2010-2016, i.e., one in every year of its existence. BioQuick presently features over 4,000 online articles on major life science advances in the last eight years and articles on topics of interest are readily accessible by means of the publication’s powerful search engine. New articles are published on a daily basis. BioQuick has readers in over 160 countries and includes a Japanese language edition (http://www.biomarket.jp/bioquicknews/) directed by Yoshimitsu Obata, M.S., in Tokyo (http://wwwwBioMarket.jp). BioQuick currently offers free and open access to all of its content. To learn more about the highly competitive international APEX Publishing Awards, please visit the awards web site at (http://www.apexawards.com). One indicator of the overall quality of the competition is the high caliber of organizations numbering among the winners. This year, these winners include the American Society of Clinical Oncology (ASCO), American Society for Clinical Chemistry, National Science Foundation (NSF), University of Michigan Comprehensive Cancer Care Center, American Academy of Pediatrics, American Academy of Dermatology, Hospital for Special Surgery, College of American Pathologists, Sandia National Laboratories, and NASA. Other winners also include the WGBH Education Foundation, Detroit Medical News, Society of Women Engineers, Frontline Medical News, AARP Magazine, Ford Motor Company, US Tennis Association (USTA), National Football League (NFL), China Airlines, and the Walt Disney World Resort. With 20,000 diagnoses each year, ovarian cancer is the ninth most common cancer and fifth leading cause of cancer death among women in the United States. So many women die from ovarian cancer because it often goes undetected until it has spread within the pelvis and abdomen, by which point it is difficult to treat and usually fatal. A team of researchers from the University of California, Riverside, and the University of Notre Dame are studying the molecular mechanisms by which ovarian cancer metastasizes to uncover new therapeutic opportunities. In their latest paper, published in the journal Oncogene, the scientists used live imaging and electron microscopy to study the cellular activities associated with successful metastasis, including the expression of a group of proteins called cadherins, which help cells bind together. Because these proteins enable cancer cells to anchor to new sites in the body, it may be possible to disrupt metastasis by blocking cadherin-mediated binding. The research was led by Mark Alber, PhD, a Distinguished Professor of Applied Mathematics at UC Riverside, and M. Sharon Stack, PhD, a Kleiderer-Pezold Professor of Biochemistry and Director of Notre Dame Harper Cancer Research Institute. As primary ovarian tumors metastasize, they shed both single cells and clusters of cells, called multicellular aggregates (MCAs), into the pelvis and abdomen. To study exactly how metastasis occurs, the researchers quantified the interactions between epithelial ovarian cancer (EOC) cells and three-dimensional models of the abdomen wall. They showed that when EOC cells acquired N-cadherin (Ncad), an event that occurs in human EOC tumors, they could penetrate and attach to the abdomen wall. Whole genome sequencing involves the analysis of all three billion pairs of letters in an individual's DNA and has been hailed as a technology that will usher in a new era of predicting and preventing disease. However, the use of genome sequencing in healthy individuals is controversial because no one fully understands how many patients carry variants that put them at risk for rare genetic conditions and how they, and their doctors, will respond to learning about these risks. In a new paper published online on June 26, 2017 in the Annals of Internal Medicine by investigators at Brigham and Women's Hospital and Harvard Medical School, along with collaborators at Baylor College of Medicine, report the results of the 4-year, NIH-funded MedSeq Project, the first-ever randomized trial conducted to examine the impact of whole genome sequencing in healthy primary care patients. The article is titled “The Impact of Whole-Genome Sequencing on the Primary Care and Outcomes of Healthy Adult Patients: A Pilot Randomized Trial.” In the MedSeq Project, 100 healthy individuals and their primary care physicians were enrolled and randomized so that half of the patients received whole genome sequencing and half did not. Nearly 5,000 genes associated with rare genetic conditions were expertly analyzed in each sequenced patient, and co-investigators from many different disciplines including clinical genetics, molecular genetics, primary care, ethics, and law were involved in analyzing the results. Researchers found that among the 50 healthy primary care patients who were randomized to receive genome sequencing, 11 (22 percent) carried genetic variants predicted to cause previously undiagnosed rare disease. On June 22, 2017, Ionis Pharmaceuticals, Inc. (NASDAQ: IONS) announced completion of enrollment in the Phase 1/2a randomized, placebo-controlled, dose escalation study of IONIS-HTTRx in patients with Huntington's disease (HD). Dosing in the final patient cohort continues, and Ionis plans to report top-line results from this study around year-end 2017. The safety and tolerability profile of IONIS-HTTRx in the completed cohorts of the Phase 1/2a study supports its continued development. Patients who complete the Phase 1/2a study will be eligible to participate in an open-label extension (OLE) study that Ionis plans to initiate in the next several months. Roche, Ionis' partner for this drug, continues to advance and support the program. IONIS-HTTRx is the first therapy in clinical development targeting the cause of HD by reducing the production of the toxic mutant huntingtin protein (mHTT) from the mutated huntingtin gene. "We are encouraged by the safety profile of IONIS-HTTRx we have observed to date in the completed dosing cohorts in the Phase 1/2a study. Upon completion and full analysis of this study, the next step for this program will be to conduct a study to investigate whether decreasing mutant huntingtin protein with IONIS-HTTRx can slow the progression of this terrible disease," said C. Frank Bennett, PhD, Senior Vice President of Research at Ionis Pharmaceuticals. "We believe that IONIS-HTTRx, which is designed to reduce the production of all forms of the huntingtin (HTT) protein – the known cause of HD, represents the most promising opportunity to address this significant unmet medical need. On June 22, 2017, Thermo Fisher Scientific announced that the U.S. Food and Drug Administration (FDA) had granted premarket approval to the company for the first next-generation sequencing (NGS)-based test that simultaneously screens tumor samples for biomarkers associated with three FDA-approved therapies for non-small cell lung cancer (NSCLC). Lung cancer is the leading cause of cancer-related deaths in the U.S., with NSCLC accounting for 85 percent of all lung cancers. The Oncomine Dx Target Test simultaneously evaluates 23 genes clinically associated with NSCLC. Following FDA approval, results from analysis of three of these genes can now be used to identify patients who may be eligible for treatment with one of the following: the combined therapy of Tafinlar® and Mekinist®, XALKORI®, or IRESSA®. With this test, physicians can now match patients to these therapies in days instead of several weeks, which it often takes when screening samples one biomarker at a time. "For people battling non-small cell lung cancer, time is critical and days matter," said Joydeep Goswami, President of Clinical Next-Generation Sequencing and Oncology at Thermo Fisher. "The Oncomine Dx Target Test rapidly guides oncologists toward the right targeted therapy, with the goal of improving patient outcomes and the cost-efficiency of treatments." LabCorp's Diagnostics and Covance Businesses, NeoGenomics Laboratories, and Cancer Genetics, Inc., are among the first laboratories that will offer the Oncomine Dx Target Test as a service to oncologists. Investigators at The Saban Research Institute of Children's Hospital Los Angeles have developed and tested a new biomarker assay for quantifying disease and detecting the presence of neuroblastoma even when standard evaluations yield negative results for the disease. In a study, led by Araz Marachelian, MD, of the Children's Center for Cancer and Blood Diseases, researchers provide the first systematic comparison of standard imaging evaluations versus the new assay that screens for five different neuroblastoma-associated genes and determine that the new assay improves disease assessment and provides prediction of disease progression. Results of the study were published on May 30, 2017 in Clinical Cancer Research. The article is titled “Expression of Five Neuroblastoma Genes in Bone Marrow or Blood of Patients with Relapsed/Refractory Neuroblastoma Provides a New Biomarker for Disease and Prognosis.” Neuroblastoma is a cancer of the nervous system that exists outside the brain and typically is diagnosed in children 5 years or age or younger. Forty-five percent of patients have high-risk, metastatic tumors (stage 4) when diagnosed. 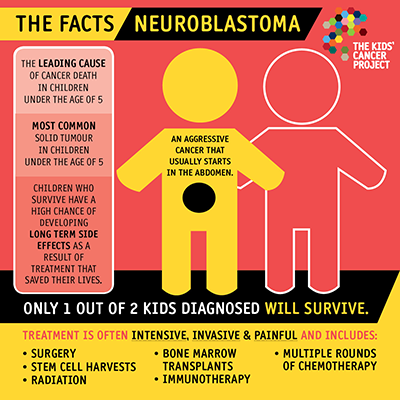 While children with neuroblastoma often respond to therapy and many are declared to be in a "remission" based on standard tests, many will still relapse. "Clearly, there is some remaining tumor in the body that we cannot detect with standard tests and physicians have a hard time predicting if a patient is likely to relapse," said Dr. Marachelian, who is Medical Director of the New Approaches to Neuroblastoma (NANT) consortium, headquartered at CHLA. The new assay, which was developed in the laboratories of Robert Seeger, MD, and Shahab Asgharzadeh, MD, at CHLA, tests for five different genes (CHGA, DCX, DDC, PHOX2B, and TH) that are specific to neuroblastoma. Amid the incredible diversity of living things on our planet, there is a common theme. Organisms need to acquire new genes, or change the functions of existing genes, in order to adapt and survive. How does that happen? A common view is that genes are duplicated, with one of the copies picking up a new function while the other copy continues to function as before. However, by studying tiny parasitic Jewel Wasps and their rapidly changing venom repertoires, the Werren Lab at the University of Rochester in New York has uncovered a different process that may be widespread in other species as well. The process involves co-opting single-copy genes to take on new functions. In some cases, these genes appear to continue their previous function as well, in other parts of the wasp's anatomy besides the venom gland. The findings are published in Current Biology. The article is titled “The Evolution of Venom by Co-option of Single-Copy Genes.” "It is almost as if they are now moonlighting," says John (Jack) Werren, Professor of Biology. "They've got a day job, and then take on a night job as well. Over time, if the night job works out, they may give up the day job and evolve as a venom specialist. However, in other cases, we have found that they stop moonlighting as venom genes, but appear to retain their day job." How is a gene co-opted? And what determines which job (or combination of jobs) it performs? 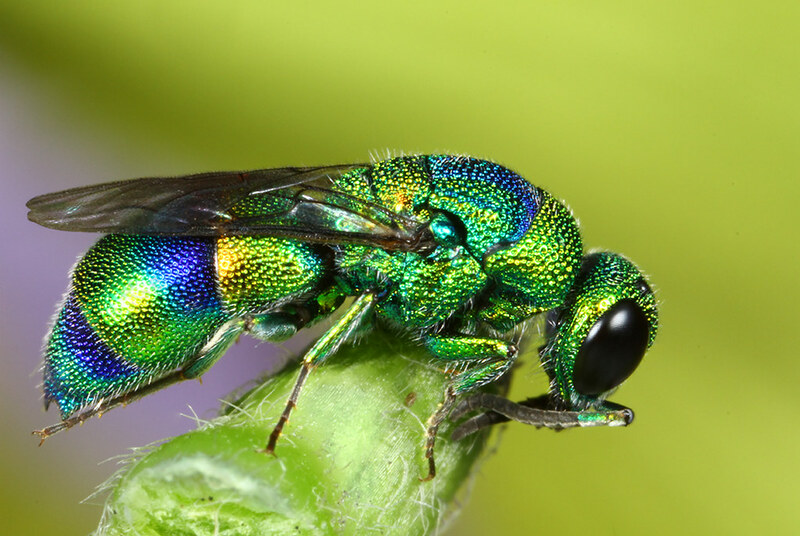 In the case of Jewel Wasps, the process called gene regulation is key. As the researchers explain, the rapid turnover in venom genes is accomplished mostly by changes in regulatory regions adjacent to the genes. These regulatory regions control how the genes are expressed--that is, whether the genes are turned "on" or "off" in different tissues. When a gene is turned on, it provides instructions for manufacturing proteins. Exosomes - tiny biological nanoparticles that can transfer information between cells - offer significant potential in detecting and treating disease, according to the most comprehensive overview so far of research in the field. Areas that could benefit include cancer treatment and regenerative medicine, say Dr. Steven Conlan from Swansea University (UK), Dr. Mauro Ferrari of Houston Methodist Research Institute in Texas, and Dr. Inês Mendes Pinto from the International Iberian Nanotechnology Laboratory in Portugal. Their commissioned paper, “Exosomes As Reconfigurable Therapeutic Systems,” was published on June 22, 2017 in Trends in Molecular Medicine. Exosomes are sub-cellular particles produced by all cells in the body and are from 30-130 nanometers in size. They act as biological signaling systems, communicating between cells, carrying proteins, lipids, DNA, and RNA. They drive biological processes, from modulating gene expression to transmitting information through breast milk. 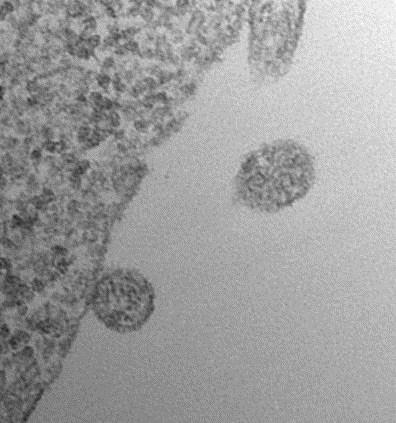 Though discovered in 1983, the full potential of exosomes is only gradually being revealed. The reviewers show that the possible medical benefits of exosomes fall into three broad categories: detecting disease - by acting as disease-specific biomarkers; activating immune responses to boost immunity; and treating diseases - serving as the vehicle for drugs, for example bearing cancer therapies as their payload, to target tumors. One of the most useful properties of exosomes is that they are able to cross barriers such as the plasma membrane of cells, or the blood/brain barrier. This makes exosomes well-suited to delivering therapeutic molecules in a very targeted way. When Ricky Ramon was 7, he went for a routine checkup. The pediatrician, who lingered over his heartbeat, sent him for a chest X-ray, which revealed a benign tumor in the top-left chamber of his heart. For Ramon, it was the beginning of a long series of medical appointments, procedures, and surgeries that would span nearly two decades. During this time, noncancerous tumors kept reappearing in Ramon's heart and throughout his body -- in his pituitary gland, adrenal glands above his kidneys, nodules in his thyroid. When Ramon was 18, doctors thought his symptoms were suggestive of Carney complex, a genetic condition caused by mutations in a gene called PRKAR1A. However, evaluation of Ramon's DNA revealed no disease-causing variations in this gene. Now, eight years later, researchers at the Stanford University School of Medicine have used a next-generation technology -- long-read sequencing -- to secure a diagnosis for Ramon. It is the first time long-read, whole-genome sequencing has been used in a clinical setting, the researchers report in a paper published online on June 22, 2017 in Genetics in Medicine. The article is titled Long-Read Genome Sequencing Identifies Causal Structural Variation in a Mendelian Disease.” Genome sequencing involves snipping DNA into pieces, reading the fragments, and then using a computer to patch the sequence together. DNA carries our genetic blueprint in a double-stranded string of molecular "letters" called nucleotides, or base pairs. The four types of nucleotides are each represented by a letter -- C for cytosine and G for guanine, for example -- and they form links across the two strands to hold DNA together.